Chiropody (also known as Podiatry) is a specialised, registered and regulated health profession, concerned with the clinical diagnosis, treatment and management of a wide range of conditions affecting the human foot and lower limb. Podiatry is the modern word used to describe the profession that deals with the assessment, diagnosis and treatment and management of the lower limb. Podiatrists are qualified to treat people of all ages who may have foot ailments or suffer from lower limb dysfunction. Podiatrists have an in-depth understanding of how the foot moves and interacts with the ground when you walk. Slight alterations in foot function can cause increased pressure and friction on the skin leading to blisters, calluses, corns, bunions and more. Systemic conditions such as diabetes can lead to poor circulation and deformity if not managed correctly and arthritic conditions can be disabling which may cause calluses and corns. A regular visit to a podiatrist for general care can keep your feet more comfortable on a daily basis and will help to keep you active and pain free. Our podiatrists offer advice and treatment for fungal nails, thickened/damaged nails, bruised nails and involuted (curved nails). Ingrowing toe nails can develop for a number of reasons. At our Didsbury clinic, we offer advice and treatment for painful and troublesome toe nails, also providing preventative maintenance and/or surgery if required. Your Podiatrist will decide if surgery is the best option for you. 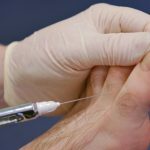 Nail surgery is carried out at the clinic under a local anaesthetic and is usually the last resort – it is only done if conservative measures and management has not been successful. A partial nail avulsion, PNA (part of the nail removed) or total nail avulsion, TNA (whole nail removed) can be done with phenolisation. Phenol is a strong chemical which is applied to the affected nail matrix and nail bed to prevent the nail re-growing. 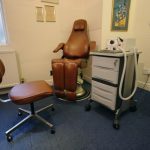 For patients living in South Manchester, who are unable to make it into Didsbury village or find travelling difficult, podiatry can be offered to you in the comfort of your own home. Please call the Crossway Clinic for further details. Tricia qualified at the Manchester Foot Hospital and initially spent a short time working for the NHS, before taking up a post as a team member of a large private practice in Dublin. In 1978, she returned to Manchester to complete two courses in further education and health education. The following years were filled with a variety of work for the NHS, University clinical teaching and the establishment and development of The Crossway Clinic in Didsbury. Rachael qualified at The University of Salford. Since then she has worked in two busy private practices in Cambridgshire. Rachael treats a wide range of podiatric conditions with a specific interest in biomechanical assessment and orthotics. In 2014, Rachael has returned to her hometown of South Manchester and is delighted to become part of the Crossway clinic team. To arrange an appointment with a podiatrist (chiropodist), or for further information on podiatry and chiropody, please contact The Crossway Clinic, Didsbury, Manchester on 0161 445 1018.